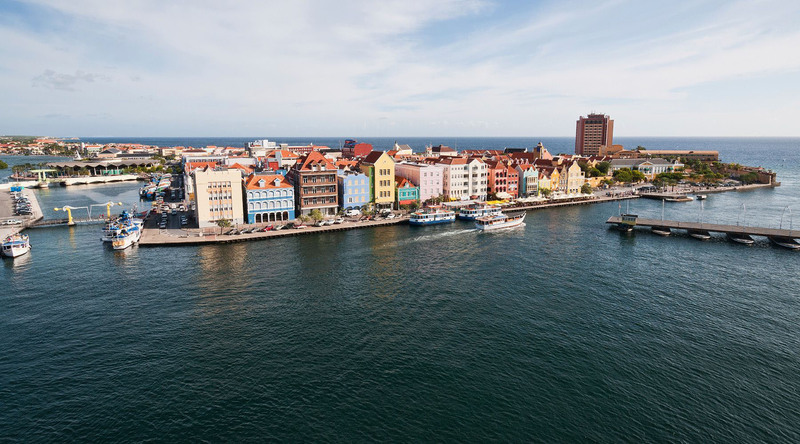 Dating back to the 1600s, the beautiful city of Willemstad is the capital of the island of Curacao and one of the busiest ports in the Caribbean. Also the former capital of the Netherlands Antilles, the Dutch influence can be felt everywhere. Take a stroll through the streets of the UNESCO World Heritage Site designated Old Town where colonial culture and unique architecture are on full display. If it wasn’t for the warm Caribbean breeze blowing through your hair, you might just think you’re in Europe. Visit the Curacao Maritime Museum for engaging displays that trace the island’s considerable history or Museum Kura Hulanda, considered one of the best museums in the Caribbean. Watch ships of all sizes come through Willemstad’s channel via the Queen Emma Bridge or discover the rich colors of Dutch architecture at Fort Amsterdam, which dates back to the 1760s. Head to Punda, the oldest part of Willlemstad, for local and international restaurants, great shopping, and local specialty products like Dutch Delft Blue figurines, wheels of Gouda and Edam cheeses, and of course the original Curacao liqueur. With its colorful Dutch architecture, the Old Town of Willemstad is a designated UNESCO World Heritage Site. Stroll the historic streets and marvel at the bright and interesting architecture. You may just have to remind yourself that you’re on a beautiful Caribbean island, not in the heart of Europe. Spend the afternoon simply watching the world go by. Watch as huge ships come and go while the Queen Emma pontoon bridge shuttles back and forth to make room. The bridge is also an excellent vantage point for stunning views of the city. Located in former slave quarters in what is now a chic boutique hotel, this anthropological museum showcases the predominant cultures of Curacao. The brutal history of slavery in the Caribbean is documented with superb and extensive exhibits. Audio guides are available.